﻿ This Alien Spaceship Was Disguised As an Asteroid! This Alien Spaceship Was Disguised As an Asteroid! 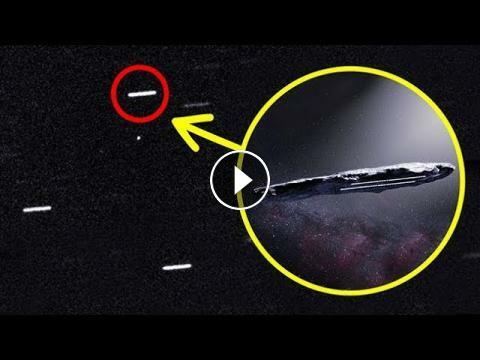 A mysterious cigar-shaped object spotted tumbling through our solar system last year may have been an alien spacecraft sent to investigate Earth, the astronomers have suggested. The object, nicknamed Oumuamua, meaning "a messenger that reaches out from the distant past" in Hawaiian, was discovered in October 2017 by the Pan-STARRS 1 telescope in Hawaii. So... Is alien spacecraft coming?! This Asteroid Has Been Following Our Planet For 100 Years! Will An Asteroid Size Of A VILLAGE Hit Earth In 2028?